Like technology, vehicles receive updates and improvements every year with new models being introduced and phased out as automakers deem necessary. 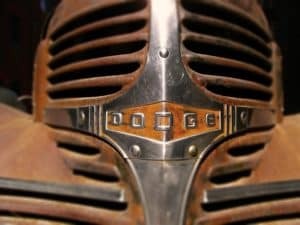 Dodge is no different and behind its current lineup of vehicles are the discontinued models, some of which we wish would revive. Here are four models that need to come back from the dead. While the Ram truck lineup is among Dodge’s most popular vehicles, there’s also the Dodge Dakota. Produced from 1987 to 2011, the mid-size pickup was a vehicle suited toward people who liked driving a truck but not necessarily for its size. It competed well with other trucks in its class and optional upgrades made it an even better model. The R/T package improved the existing suspension, gave it an LSD rear, 46RE transmission, and larger brakes. These upgrades also gave the V-8 engine more power without necessitating the size of the truck. It was a daily driving truck capable of handling the demands of life and appealed to the general population, making a case for a revival. Like other carmakers, Dodge incorporates trends of the time for the cars they make. Back when the Dodge Polara came on the market in the 1960s, large cars were common. This luxury full-size car stopped production in 1973 due to the gas crisis, giving way to smaller cars than seen in previous years. With up to 400 horsepower, the Polara delivered respectable performance. It also had a unique look that made it stand out from the crowd. Polara featured large fins on the back with integrated taillights. The fins of the original model gave way to a more streamlined sedan or station wagon look through the years. It remained large and luxurious though. A re-imagined version that incorporates the amenities drivers require today opens many possibilities. First introduced in 1994, the Dodge Avenger is a mid-size sedan that was produced through 2014. It went off the market twice after its debut and became a solid performer in the automaker’s lineup, replacing the Stratus. It was also available as a two-door coupe in several model years. During its production, Avenger won several awards in 2012 and 2013 for value, best car for teens, and design, among others. These factors alone should qualify it for a revival from the dead. The Dodge Neon was a solid performer in the compact vehicle class for 10 years. Before its debut, Neon spent a lot of time on the auto show circuit as a concept car. In its first year, Neon impressed us with a 2.0-liter SOHC base engine producing 132 horsepower. It even made appearances in the motor sports circuit in years to follow. By the time Dodge stopped production of the Neon’s new model name, SRT-4, it was a sporty compact car that could fit in on the current model lineup. Whether it comes back or not, however, is up to the automaker. While car models and offerings do change from year to year, past models are still desirable and are worth looking back on. If you’re looking for a Dodge, visit Eastgate Chrysler Dodge Jeep Ram to see our current inventory.